Do you often grind your teeth when you sleep at night? A quick visit to the dentist will determine if you have nocturnal bruxism. Bruxism is a condition where constant grinding wears away your teeth’s enamel and causes other teeth problems such as waking up with headaches, jaw pain and cracked teeth. Your dentist may prescribe a night guard in order to prevent further teeth damage. Many dentists will naturally be inclined to make you a night guard to be worn for your upper teeth. 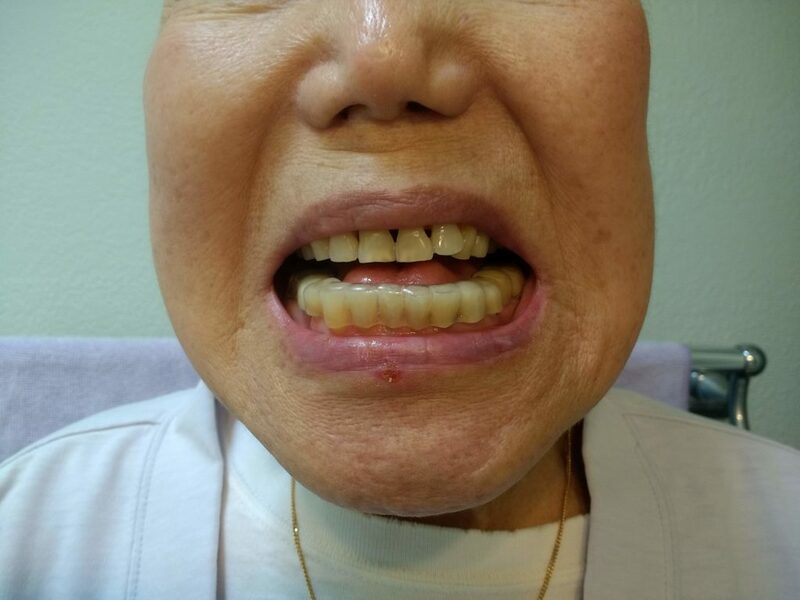 He/she may have a good reason why but sometimes it’s more out of habit as night guards are most commonly made for upper teeth. Patients may not know they have an option to have a lower night guard made. Some people find the lower teeth guard to be far more comfortable and tolerable. Either choice works by acting as a type of cushion or barrier between your upper and lower teeth. Instead of grinding directly against one another, the night guard ensures the teeth do not make contact with each another, preventing further damage. Ask your dentist if a lower night guard may be an option for you. 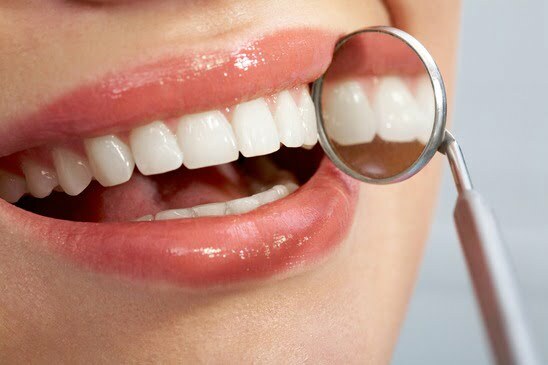 Your dentist will know which type is best suited for your unique needs. Sensitive gag reflex- Some upper night guard users take out their night guard because they find themselves feeling the need to gag which makes it hard to sleep. In these cases, a lower night may reduce the susceptibility to invoking the gag reflex. A lot of users have reported that wearing a lower night guard is more comfortable for them. 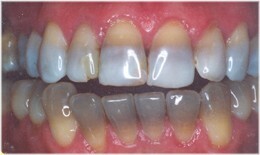 Dentists agree that a lower guard can be better tolerated and increases ease of wear for some of their patients. Sometimes the tongue gets in the habit of feeling the upper night guard constantly, which leads to irritation, but a lower guard can make the tongue adapt better. Almost all night guards are made from materials such as vinyl, acrylic, rubber or acetate. 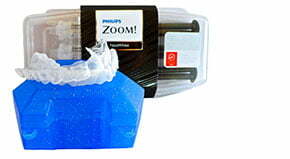 You should check and make sure that the dental appliance you’re getting is latex, silicon and BPA-free. 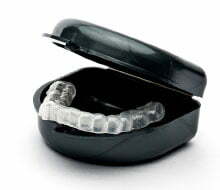 A good night guard is one that fits snugly and doesn’t slip. It’s better to have one made in a professional lab as compared to night guards that are bought in stores. Night guards for the upper and lower teeth can be made to address the grinding problem, but wearing both an upper and lower night guard at the same time is typically not recommended. In common bruxism cases, either night guard (upper or lower) will work the same way and therefore provide identical results. The reason why upper night guards are a popular option is because night guards were originally created for the upper teeth. 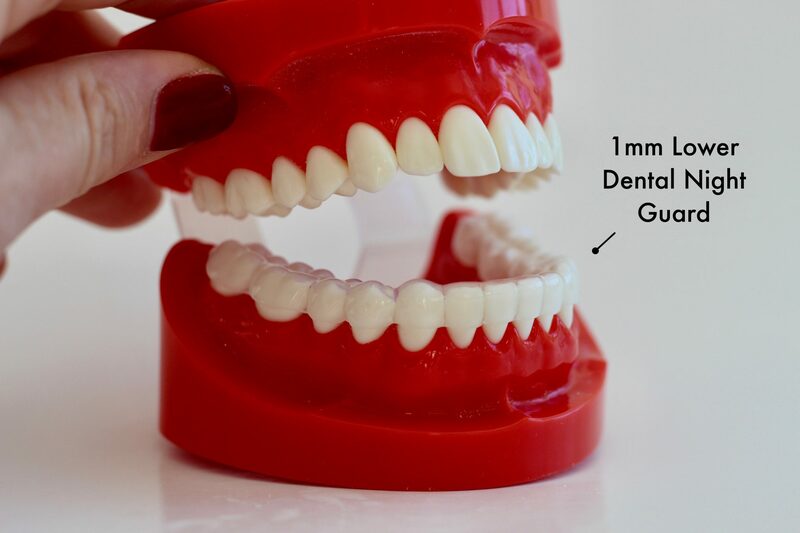 Dentists and labs tend to be quite slow to adapt to the usage and acceptance of lower night guards across the industry by habit. 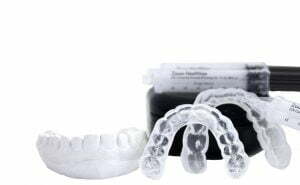 Today, many dentists are recommending the use of lower night guards for the benefits they provide to the wearer. 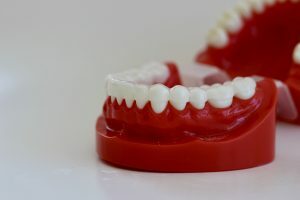 Overall, the design of your night guard will depend upon several personal factors such as your bite, comfort level and your dentist’s preference, among others. Traditionally, upper guards may be recommended due to the fact that they can’t easily be removed as compared to lower arches. Lower guards are recommended because they are sometimes more comfortable and patients may adapt to wearing the guard more easily. More importantly, the night guard should fit your teeth arches just right and shield your teeth and jaw from the harmful effects of unconscious teeth grinding at night. The best kind of night guard should cover all your teeth and not effect your natural bite. The success of a night guard first depends on your ability to wear it. At Sentinel Mouth guards, we realize that what works for you may not work for another individual. Knowing this, we have implemented a satisfaction guarantee that includes changing material type, thickness and/or switching teeth arches to find which guard works best for you. You read that right! If you purchase your Sentinel Night Guard and find that it is not working for you we will work with you to explore which night guard may be best suited for your unique needs. Our commitment to you is 100% satisfaction.